It is the buyer’s responsibility to insure the property being purchased from the date of exchange of contracts. It will also be a requirement of your mortgage company, if you are taking out a mortgage, that the property is adequately insured and your mortgage company’s interest is noted on the policy. If the property you are purchasing is damaged between exchange and completion (this damage could include for example being flooded, burned down or damaged by a storm) and you have not put buildings insurance in place, you will still be obliged to complete the purchase and put right the damage caused, at your own expense. Unless your solicitor advises you otherwise, it is extremely important that you obtain a quote for buildings insurance at the earliest opportunity once the purchase is agreed and that you are able to put the policy in place as soon as contracts are exchanged. On the day of completion, you will also need to ensure that your contents are covered by the policy going forward. If you are purchasing a flat it is likely that the property will be insured by the landlord under the landlord’s building insurance policy. 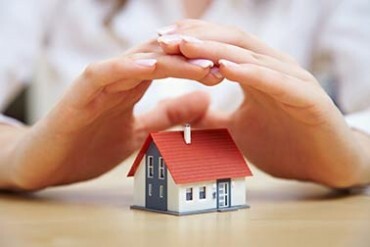 The Landlord will continue to insure and therefore there is no onus put on you to insure. If you are purchasing a new build property the developers will usually continue to insure until legal completion. If there is to be an unusually long gap between exchange and completion it may be that you want to ask your solicitor to negotiate on your behalf to ask the sellers to continue to insure the property between exchange and completion. For more information on the content of this article contact Laura Finnigan on 01206 217 020 or by email at laura.finnigan@tsplegal.com.